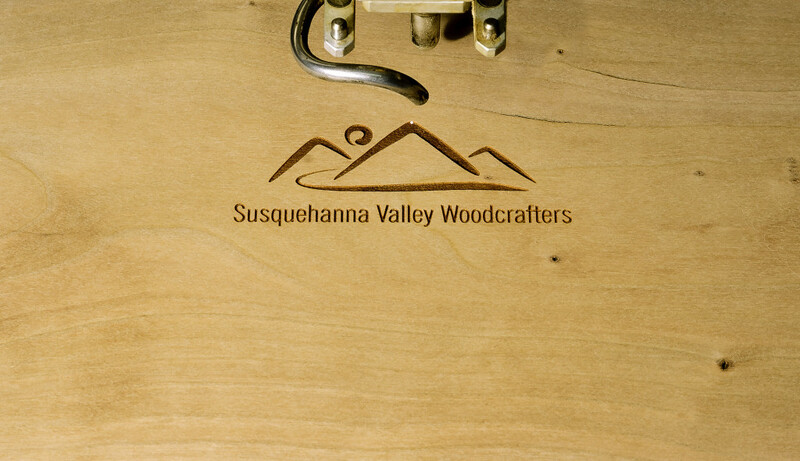 Laser Logo - Specialty - Susquehanna Valley Woodcrafters, Inc.
To help set your cabinets apart from the competition, we offer laser logo engraved dovetail drawers. This provides a real, lasting added value to your dovetail drawers. View our offering below, then reach out for a quote on your next job! Logos can also be etched on the front outside left and right, and front inside right of the drawer box. Just indicate the location if not the default (front inside left). the customer will EMail us a graphic copy of the logo. it will be setup in our system and a picture of the logo will be emailed to the customer. the customer will make corrections (if necessary), and communicate the changes to SVW. the customer can request a hard sample of the logo to see how it appears on wood. we will make any corrections and activate the logo.